The fake does not have the qualities of the true, it only appears to have them; yet, at the risk of pleading against mine own cause, I must admit that the efforts used by counterfeiters often merit`far greater attention [...] and admiration than their authentic models, which take no further trouble than to simply exist: resting on an embroidered cushion until the end of recorded time. This is a difficult book to describe: it is a book of fictional invention masquerading as historical artifact, further masquerading as scholarly treatise. 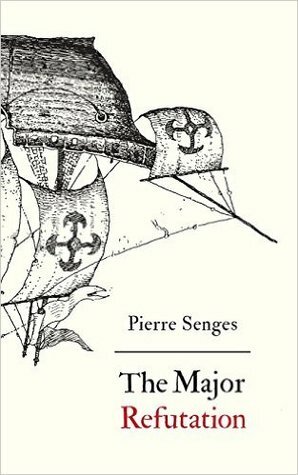 It never flinches, it has not one single tell that it is anything but what it appears to be: a 16th century work, of questionable authorship, that methodically and systemically argues against the existence of the "New World". Nothing about it is true, it is all invention, but even stating that gives me pause, so convincing is it's composition and presentation. A compelling work of artifice, which only make the forthcoming Fragments... all the more enticing. Sign into Goodreads to see if any of your friends have read The Major Refutation.